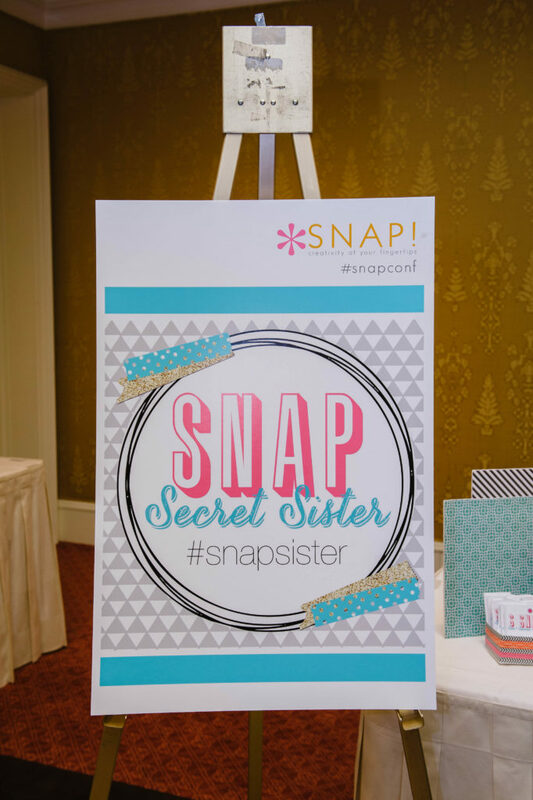 It is time for Snap Secret Sisters! What is Secret Sisters? It’s a fun, optional activity at SNAP where you sign up to be paired up with one other Snap attendee to exchange gifts. You will do a little research (and be given some hints) to get to know that person and then you will bring 3 gifts that they will be given each day of Snap! Your identity will be a secret, but one fun thing we are doing this year is each day you will give them a clue as to who you are! On the last day, you will reveal your identity in a note in their gift! It is a really fun way to get to know your fellow Snap attendees and to make forever friends! Sign up today! The deadline to sign up is March 30. 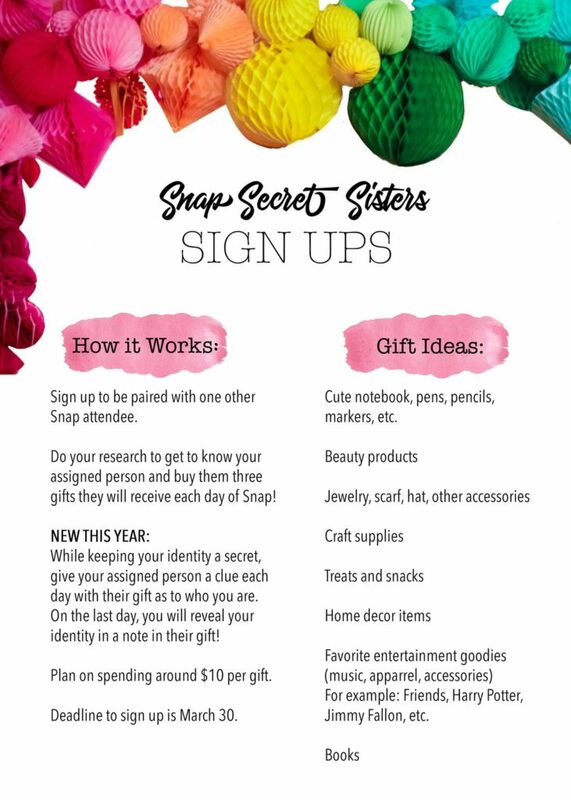 After you sign up, you’ll receive an email with the identity of your Secret Sister, along with a few clues about her personality (favorite color, favorite candy, etc). You can also check out her blog or stalk her on social media to get a better handle on who she is. Then you find three gifts for her and bring them to Snap with her name on them and labeled for which day they would be opened (Thursday, Friday, Saturday). Inside the gifts for Thursday and Friday, you should also give a subtle hint about who you are. Inside Saturday’s gift you will reveal your identity. At Snap, you’ll drop off the gifts at a special table to our Secret Sister volunteers. Each day, you’ll stop by the table during the posted hours to pick up your gifts for the day. It’s a ton of fun and a great way to get to know your blog sisters!